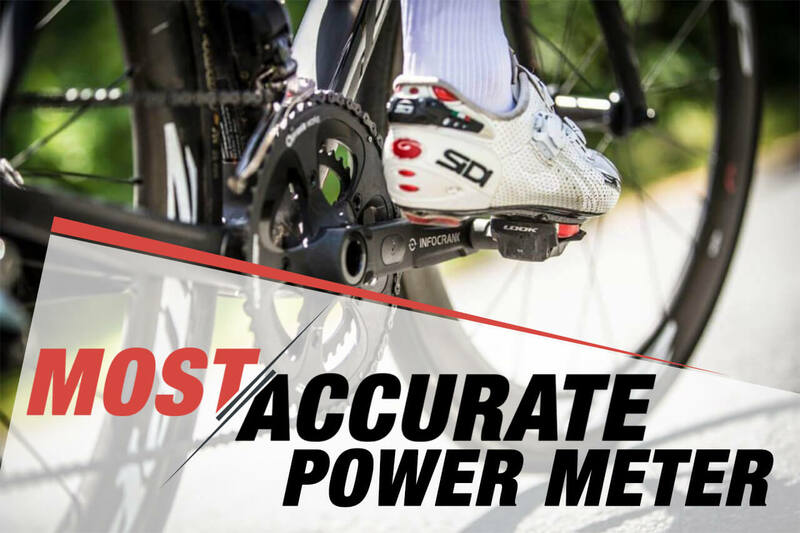 If you saw our article on power meter accuracy, you know how we feel about the subject. Is accuracy important? Yes, very much so. However, when shopping for a new direct force power meter, we don’t feel it something you should spend hours worrying about. 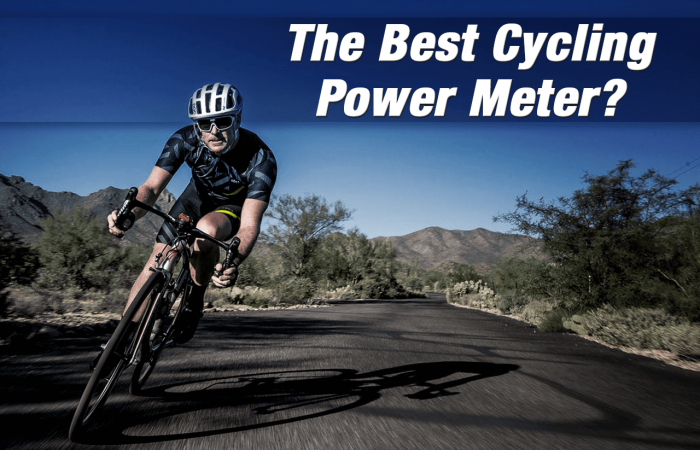 Why…because power meters are so good these days that assuming you have it installed correctly and zero’d, chances are it will read within a few watts of the next power meter. That should be good enough for most of us. We feel it’s more important to find a power meter that works with your bike and budget and has the features you want. Having said this, there is nothing wrong with wanting the most accurate power meter possible, assuming it fits your other needs as well. And since we’re often asked about it, let’s talk about it. Enter the Verve InfoCrank! Initially introduced around 2015, the Verve InfoCrank is manufactured by Verve Cycling out of the UK. The InfoCrank is a complete crankset. This means you’re buying a new spider, arms and chainrings (and in the case of the M30, a new bottom bracket). There are two versions of the InfoCrank: The M30 which comes with a 30 mm spindle, as well as the 24 MM which comes with a 24 mm spindle. This means there is an InfoCrank for any frame. 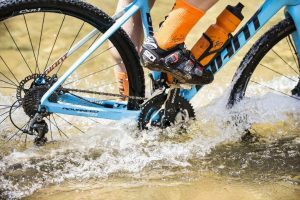 Prices range from $1,399 to $1,641 depending on your choice of chainrings and bottom bracket. So while not the most expensive power meter you can buy…it’s not cheap either. 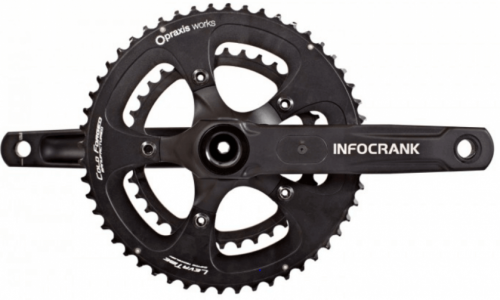 Unlike almost all other power meters, which start out as a bike component and are subsequently turned into a power meter, the InfoCrank was designed as a power measurement device from the get go. This allows for several advantages. First, Verve could decide how best to measure force or torque. They decided that the ideal (most accurate and stable) place to measure is at the crank arm. However not on the inside of the crank arm like Stages, 4iiii and Pioneer, rather inside the crank arm itself. Yes, you read that right. Verve places it’s load cells (strain gauges and electronics) inside both the left and right crank arms. They are the only manufacturer to do this. This unique location places the strain gauges directly in the path of torque so that the tangential force which pushes the bike forwards, registers the torque. In addition, every load cell is individually calibrated, independently tested and externally certified. Verve is also able to control the entire manufacturing process from start to finish. This can’t be done when you’re adding a power sensor to an existing crankset for example. Verve went with top-quality, conventional 2D cold forging. While Verve often claims +/-1.0% accuracy, they are actually being a bit modest. Independent testing has showed that the greatest margin of error recorded across 100 different tests was a mere 0.57% – all the way up to 3,000 watts. Indeed, this makes it the most accurate power meter available. But it’s not just accurate. It’s a pretty awesome power meter in other regards too. 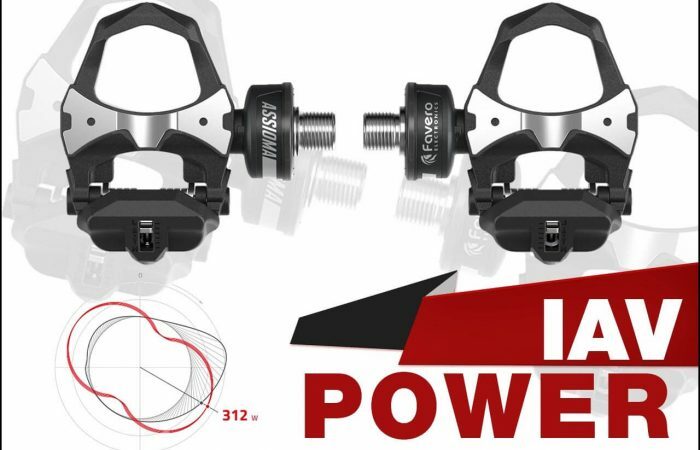 Since the InfoCrank locates a power meter on each crank arm, this means it can measure total as well as left and right independent power, a feature that is being sought out by more and more cyclists. In addition, because the load cells are placed within the crank arms, they are insensitive to temperature changes. This is further proof that the InfoCrank is a unique device. And due to this insensitivity to environmental elements, the strain gauges don’t build up any residual torque during or between rides. This means the power meter never needs to be zero’d. Just hop on and go. Also, because the electronics are protected inside a high-grade alloy crankset, the InfoCrank is super durable. In the event of a crash or mishap, you don’t need to worry about the accuracy of your data. The unit is a bomb-proof as they come. 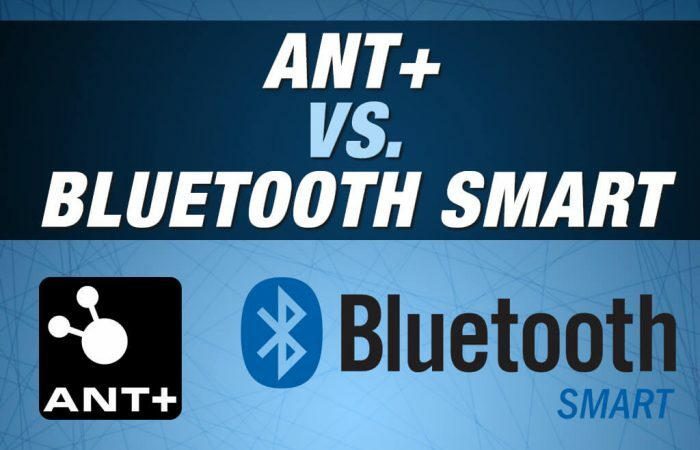 It also features a 500-hour battery life, which is a good 200-250 hours longer any most other power meters. We know accuracy is a hotly debated topic, and we reiterate our belief that when you get down to +/- 1.0% or in the case of the InfoCrank, +/- 0.57%, you’re splitting hair a bit. However, if you want truly want the most accurate power meter out there, we’d put this one up against any other. With that, thanks for reading!